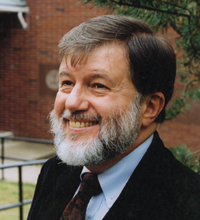 George Hunsinger is the McCord Professor of Systematic Theology at Princeton Theological Seminary. He earned his degrees at Stanford, Harvard, and Yale. A leading expert on Karl Barth, he was the 2010 recipient of the international Karl Barth Prize. He serves as an ordained Presbyterian minister, the founder of the National Religious Campaign Against Torture (2006), and a delegate to the official Reformed/Roman Catholic International Dialogue (2011–2017). He is interested in “generous orthodoxy” as a way of overcoming the historic liberal/conservative impasse in modern Protestant theology.